How much time do you spend browsing the web on any given day? In 2014, Nielsen reported that Americans spend 11 hours online per day. That’s a LOT of web browsing! Now think about how much of that time is wasted due to inefficient browsing habits — time that you’ll never, ever get back. 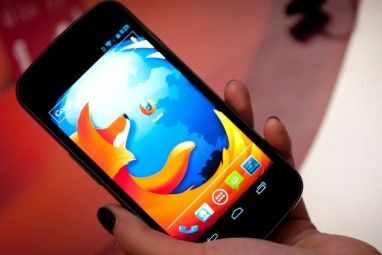 That’s why universal browser tricks 6 Universal Browser Tips That You Probably Aren't Using 6 Universal Browser Tips That You Probably Aren't Using No matter which browser you install, there are some universal tips and tricks that you should use. From keyboard shortcuts to ideal security settings, we'll cover it all in this one article. Read More are so handy: they save time, allowing you to browse more web in less time. And once you’re browsing the web like a pro 10 Cool Browser Tricks to Help You Use the Internet Like a Pro 10 Cool Browser Tricks to Help You Use the Internet Like a Pro It might be tempting to think you're a browser master. In truth, very few of us are. There are always more tips, more tricks, and more ways that you can improve your browsing skills. Read More , you’ll wonder how you ever survived otherwise. But there’s one nifty browser trick that a lot of users tend to overlook, which is a shame because it can be a game-changer. 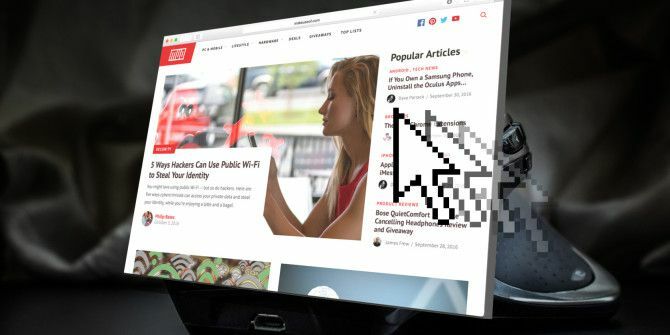 Here’s what you need to know and why you should start using browser gestures. If you already know what a browser gesture is, consider yourself in the advanced class and feel free to skip down to the next section. If you’ve never heard of browser gestures before, here’s a quick crash course. A browser gesture is a combination of mouse clicks and mouse movements (on desktops and laptops) or a combination of taps, presses, and holds (on mobile devices) that gets recognized as a single unit by most web browsers. These gestures are associated with various browser actions, so every time you make a recognized mouse gesture or touchscreen gesture, the corresponding action occurs. In short, you can think of them as the mouse or touch equivalent to keyboard shortcuts. One thing to note is that most browsers come with predetermined gestures that you can’t change (you can only enable or disable the entire gesture feature as a whole). However, there are gesture-related extensions that you can install that allow you to set up your own, and that’s the way to go if you think the basic ones are too limiting. By now you’re probably wondering, “Why use gestures when I can just use keyboard shortcuts?” That’s a good question, and ultimately it comes down to personal preference and which one “feels” better to you. But here are the most common reasons to prefer gestures. 1. Browser gestures are faster. When you browse the web, you probably do so with your hand on your mouse 99% of the time. 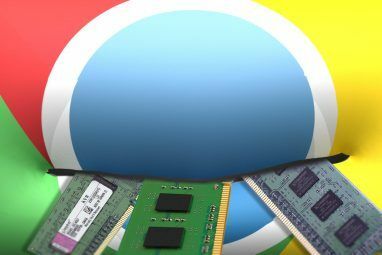 (The one exception is if you’re using an unconventional keyboard-based browser Are You Using the Best Web Browser for Linux in 2016? Are You Using the Best Web Browser for Linux in 2016? Using the "wrong" browser can lead to a lot of unnecessary headaches, wasted productivity, and even lost data. So which browser is the best for your Linux computer? Let's find out. Read More like Lynx or Qutebrowser.) And since your hand is already there, you don’t have to spend time “finding” the right hand placement as you would when searching for a keyboard shortcut — just click and draw the right motion. 2. Browser gestures are easier to remember. Open up any web browser and check out its full list of keyboard shortcuts. How many are there? Hundreds! And even if you boil them down to the most useful and most essential, you still end up with dozens of keyboard shortcuts worth memorizing 32 Keyboard Shortcuts to Speed up Your Workflow in Any Browser 32 Keyboard Shortcuts to Speed up Your Workflow in Any Browser Browsing faster is not an elusive goal, nor does it need drastic changes to your workflow. Adopting a few simple new habits like keyboard shortcuts should do the trick. Here's how. Read More . I don’t know about you, but I only have enough brain power for a handful of them at most. Browser gestures, on the other hand, are contextual and that makes them easier to remember. For example, click-and-drag-left to go back one page, or left-click-right-click to go forward one page. And if you incorporate an extension that lets you define your own gestures, you can even draw a W-shape to go to Wikipedia or make a zig-zag to close the current tab. 3. Browser gestures are unrestricted. Again, if you use an extension that lets you define your own gestures Browse Faster and Better with Mouse Gestures Browse Faster and Better with Mouse Gestures Can't remember keyboard shortcuts? Prefer using the mouse at all times? You'll love what mouse gestures can do for your browser workflow. Read More , there are no limits to the kinds of shapes and movements you can draw. On the other hand, there are only so many keyboard buttons that you can use, and a lot of them are already used up by the hundreds of default shortcuts that come with most browsers. Not to mention the fact that different browsers have different keyboard shortcuts for different actions, whereas you can easily set up the same gestures to run the same actions across all browsers (without having to override the default shortcuts). I’ve said it before and I’ll say it again for emphasis: to really make use of browser gestures, you’ll want to install an extension that gives you more power and control. There are several to choose from out there, but these are the ones that I’ve found to be the best. crxMouse is simply the best gesture-related extension currently available. Not only does it let you define custom movements, but it’s more flexible because it allows for gestures that involve the scrollwheel as well. I also like that you can customize the appearance of the gesture trail. Note that Opera can use Chrome extensions too! 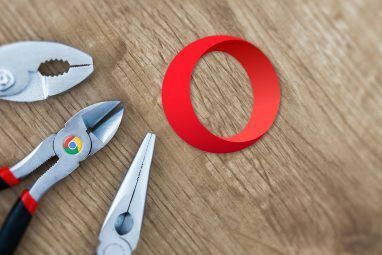 To find out how, check out this article on how to make Chrome Extensions work in Opera How to Install Google Chrome Extensions in Opera Browser How to Install Google Chrome Extensions in Opera Browser Opera is making a case for you to switch to it. There's one small problem: extensions. What if you could install Chrome extensions in Opera? It's easy, so here's a quick guide. Read More . FireGestures is pretty much the crxMouse equivalent for Firefox. It can handle a lot of the same stuff — including scrollwheel functionality — but also has something that crxMouse doesn’t have: keypress gestures. This lets you use Ctrl or Shift as the initiating key for a gesture (as opposed to a mouse click). You can even write your own scripts that add extra actions and functions to which you can assign gestures, though this is an advanced browser feature that requires some scripting experience. As soon as Edge got the ability to install extensions, it became a formidable competitor to Chrome and Firefox. The Windows Store doesn’t have too many extensions yet, at least as of this writing, but there are many Edge extensions worth using 10 Best Microsoft Edge Browser Extensions You Should Try Today 10 Best Microsoft Edge Browser Extensions You Should Try Today The latest Windows 10 Upgrade finally brings browser extensions to Microsoft Edge. We have examined the handful of extensions available and show you which ones are worth your time. Read More , including this one called Mouse Gestures. Unfortunately, it only adds basic gesture functionality (which isn’t available in the core Edge browser) and you can’t define custom gestures, at least not yet. Maybe that will change in the months to come. Hopefully! Once you’ve mastered the art of mouse gestures, you may want to go step further and start incorporating these unmissable browser tricks Unmissable Browser Tricks to Take Your Productivity to the Next Level Unmissable Browser Tricks to Take Your Productivity to the Next Level With a few easy-to-use tricks, you can actually make your browser habits far more productive, and save yourself precious minutes in the process. Read More into your repetoire of web-browsing efficiencies. You don’t have to, but we recommend it. What do you think? Are browser gestures useful or do you prefer old-fashioned keyboard shortcuts? If you do use gestures, which browser and extension do you like the best? Let us know in a comment below! Be careful with Crxmouse. Look for their privacy details: "we collect some anonymous data such us browsing patterns, trend statistics and how our features are used. Your browser will talk to our servers and help us improve our technology"
The Vivaldi browser has these built in.